It’s no wonder that a prestigious career in a professional sport is a dream for millions of teens across the globe. After all, the greatest athletes receive remarkable recognition and fame, immense annual salaries and, in some cases, a global fan base. For a vast majority, however, these goals stand as nothing more than a piping dream. Statistics show that the average high school athlete will not become a professional athlete in their respective athletic activity. To put into perspective, the NCAA estimated that there are currently around 1,093,234 football players competing at the high school level. Only 6.5 percent will have the privilege to participate in college football, and only 1.6 percent of college football players in the NCAA will be drafted by the National Football League (NFL). This may come as a mental blow to many; however, there is much more to competitive athletics than many judge. Behind the glitz and glamour so commonly displayed in the lore of professional athletics is the world which few speak of or even know about. It is a rather discrete world. Unlike the average teenager, aspiring professional athletes are almost solely focused on achieving their ultimate goal: earning a spot in a prestigious athletic league. Achieving this requires powerful sacrifice and intense mental will, traits not many adults, let alone teenagers, possess. Eric Bean is a Certified Consultant with the Association for Applied Sports Psychology (AASP) and creator of “Get A Strong Mind”. Bean has worked with Division 1 and professional athletes from a wide array of sports. From his thorough experience with such elite athletes, Bean agrees that those aiming for a prestigious spot in a competitive sport possess fervent qualities which help them attain their final goal. This passion serves as a key driving factor for aspiring athletes to put in unimaginable efforts to improve themselves in their respective sports. Senior swimmer Alex Tschopp, who is aiming to eventually attain an esteemed spot in Swiss Swimming, the national swim team of Switzerland. Tschopp believes that the numerous aspects of athleticism his swimming program incorporates, such as strength, endurance and speed, makes it of a much greater difficulty than regular fitness programs. He said that his swimming program pushes him to the absolute limit on a daily basis, something which he believes is not present in regular fitness programs. Along with rough, taxing athletic workouts, many aspiring athletes make tough sacrifices in the emotional, social, and physical realm in order to reach their goals. 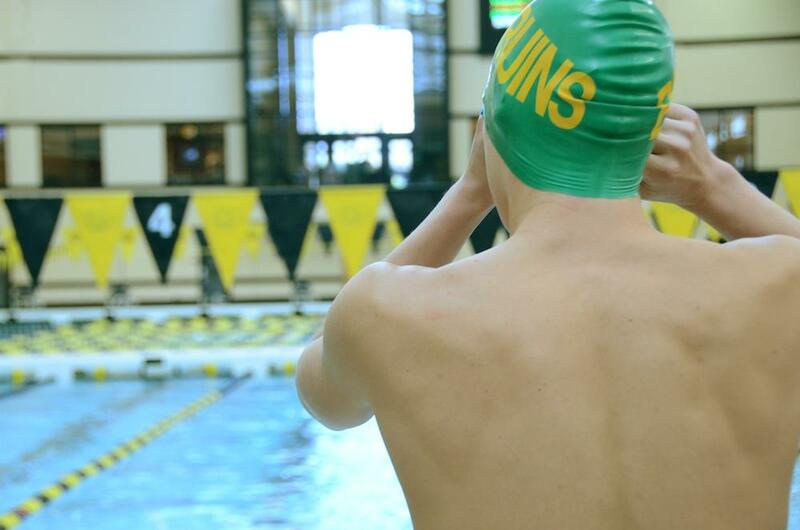 Tschopp also constantly forfeits many aspects of the average teenager in order to be successful as a swimmer. While Tschopp believes that forgoing certain events is tough, they are trivial compared to what he believes is the most emotional sacrifice he needs to make every Christmas: cutting time with loved ones. If athletes like Tschopp do happen to become professionals in their respective sports, their road still has many twists and turns ahead. In fact, for athletes, the road is far from over. Contrary to popular belief, professional athletes need to constantly improve and maintain themselves to remain professionals. Gunnar Peterson, a professional personal trainer who is certified by the National Strength and Conditioning Association (NSCA) and has trained several athletes in a vast multitude of professional leagues, as well as celebrities including Sylvester Stallone and Khloé Kardashian, said that professional athletic workouts are much more challenging than what an elite high school or college athlete might do. When performing on the field, professional athletes also need to deal with constant scrutiny and criticism, another challenging aspect of athletics which they face each day which Peterson believes many underrate. For those who truly desire to become elite athletes in the future, and are willing to make even the toughest sacrifices, Bean believes that the best recipe for success is a powerful reason for an athletic aspiration and dedication. “Overcoming these setbacks is a combination of resiliency, psychological hardiness, luck, and determination,” Bean said. Would you be willing to make sacrifices in order to accomplish an athletic or educational dream? Let us know in the comments below.